By now you would have heard about Convolutional Neural Networks (CNNs) and its efficacy in classifying images. The accuracy of CNNs in image classification is quite remarkable and its real-life applications through APIs quite profound. But sometimes, this technique may not be adequate. An image may represent multiple attributes. For instance, all of the following tags are valid for the below image. A simple classifier would get confused on what label to provide in such a scenario. This problem is known as Multi-Label classification. There are many applications where assigning multiple attributes to an image is necessary. In fact, it is more natural to think of images as belonging to multiple classes rather than a single class. Below are some applications of Multi Label Classification. Multi Label Classification provides an easy to calculate prior for complex Scene Understanding algorithms. 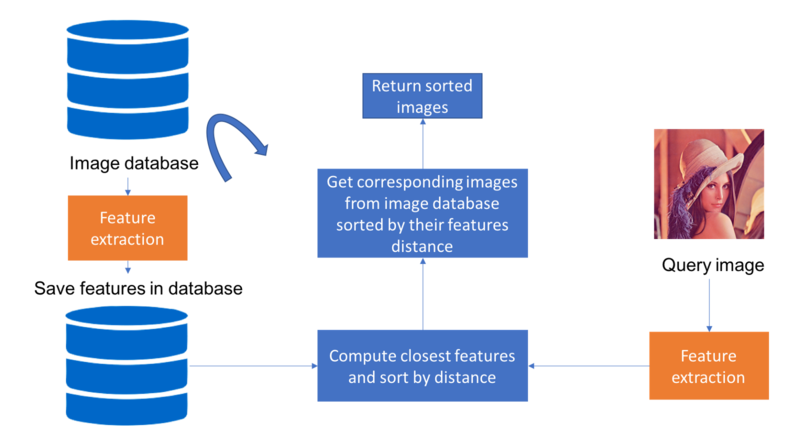 Identifying various possible tags for an image can help the Scene Understanding algorithm to create multiple vivid descriptions for the image. Multi Label tags can enhance the ability of search engines to retrieve very specific queries of a given product. For instance, we could provide multiple tags for an image of a fashion model wearing branded attire. A search engine can retrieve this result when you search for any one of the tags. A Multi Label Classification engine can automatically build up a database for the search engine. Moreover, we can use the tags to recommend related products based on the user’s activity or preferences. For instance, you can recommend similar songs or movies based on the user’s activity. A Multi Label Classifier can be used to automatically index such songs and movies. If you are familiar with Machine Learning algorithms for classification, some minor modifications are enough to make the same algorithm work for a multi label problem. In any case, let us do a small review of how classification works, and how it can be expanded to a multi label scenario. 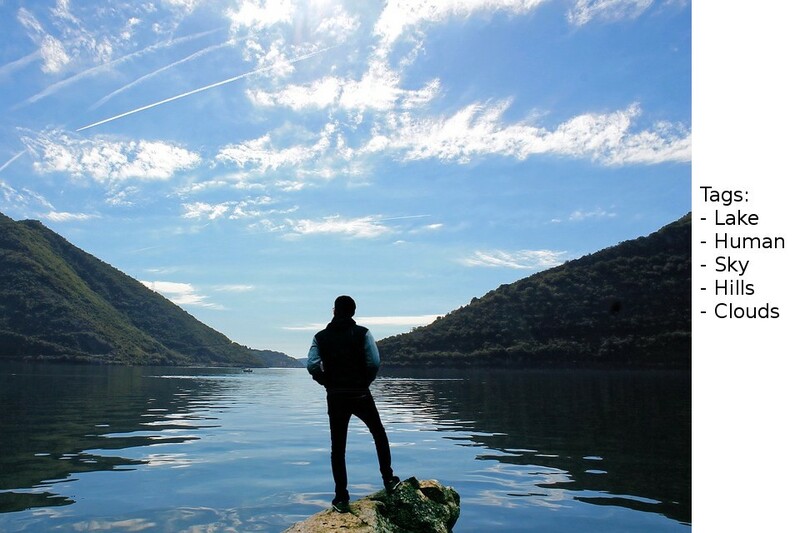 For the rest of this blog, we will focus on implementing the same for images. Neural Networks are among the most powerful (and popular) algorithms used for classification. They take inputs in the form of a vector, perform some computations and then produce an output vector. The output vector is then compared with the ground truth labels and the computation process is tweaked (i.e. trained) to yield better results. To train the Neural Network, we feed our input data in the form of feature vectors that represent the important gist of the data. One hurdle you might have noticed is the issue of encoding images into a feature vector. Convolutional Neural Networks (CNNs) are used for this purpose. Convolutions extract important features from the images and convert them into a vector representation for further processing. 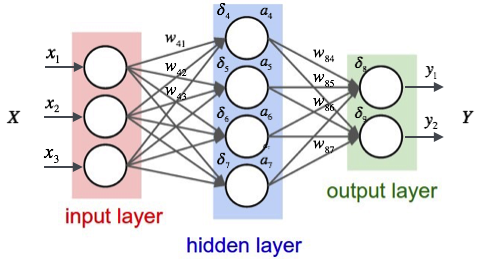 The rest of the processing in a CNN is similar to that of a Multi Layered Perceptron. This, in a nutshell, is how single label classification is performed. Now, how do we adapt this model for Multi Label Classification ? There are several strategies for doing the same. In this case, we will transform the Multi Label problem into a Multi Class problem. One way of doing this is by training a separate classifier for each label. This method has the obvious downside of training too many classifiers. This also ignores possible correlation between each label. Another method is by encoding each possible combination of labels as a separate class, thereby creating a label powerset. This method works well for a small number of label combinations, but they are hard to scale for large number of label combinations. For just 10 labels, we would have get a power set of size 1024 (2 raised to the power 10)! Sometimes, making some minor modifications to the algorithm would be enough for tackling a Multi Label Classification problem. For instance, in the case of a Neural Network, we can replace the final softmax layer with a Sigmoid layer and then use Binary Cross Entropy to optimize the model. Clearly there are a lot of strategies that can be explored. Often, one strategy may not work best for all kinds of data and hence requires lots of experimentation. The theory sounds alright but, how do we implement it? In this section, we will build our own Multi Label Food Classification algorithm using Keras (with TensorFlow backend). 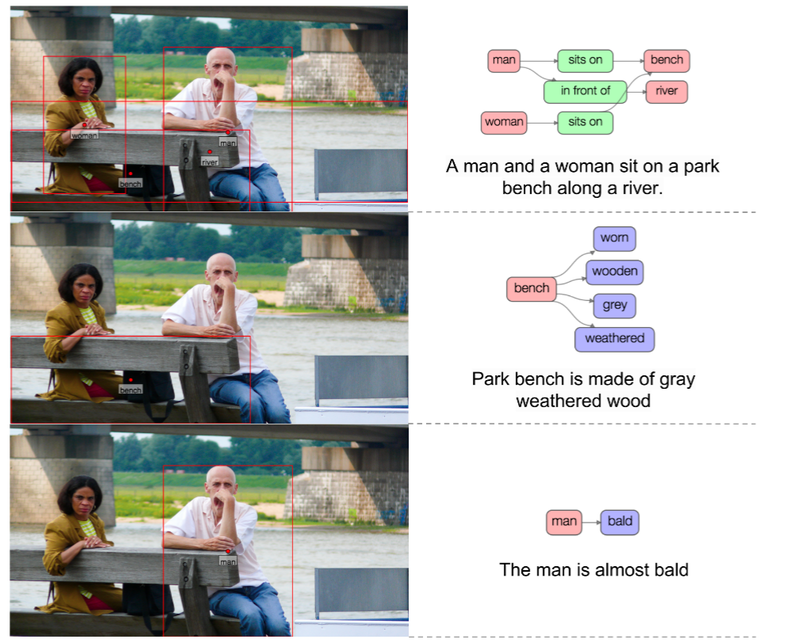 We will modify a simple CNN model to enable multi label classification. We will then do a comparison with Nanonets Multi Label Classification API. All the code is available on GitHub over here. You can follow the GitHub repository for an in-depth guide to replicate the experiments. Let us work on a possible real life application of Multi Label Classification. Given a food item, we would like to identify possible tags for the image. 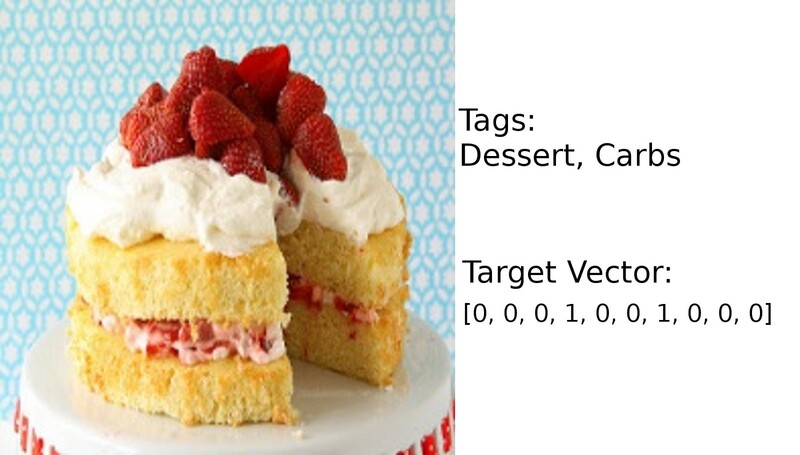 For instance, given an image of a cake, we would like our model to provide tags such as “carbs” and “dessert”. Sample images and their respective tags. 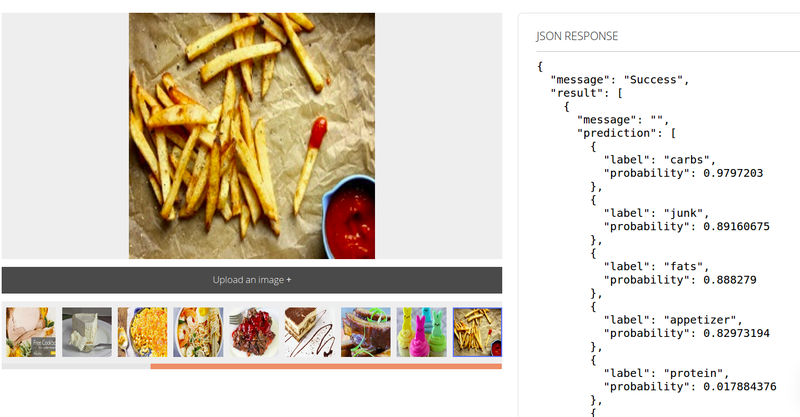 Such a model is extremely useful for Content Based Retrieval for businesses based on the food industry. For instance, we can create an automated dietary planar app based on the requirements of the user and retrieve relevant images and recipes for the appropriate food items. The first step is to collect and clean the data. I sampled around 2000 images from the Recipes5k dataset and resized them to size 224x224. The original dataset had annotations of the ingredients of a food item. However, there were more than 1000 possible ingredients (i.e. labels) and this would created highly sparse label vectors. Hence, I created my own set of annotations for the same images. In our case, an image can have atmost 10 possible labels. The list of labels are: [“Soups”, “Mains”, “Appetizer”, “Dessert” ,“Protein”, “Fats”, “Carbs”, “Healthy”, “Junk”, “Meat”]. To encode the labels in a format that can be utilized by the neural network, we create a 10 dimensional vector such that there is a “1” if a label is present in the image and “0” if a label is absent. To make the annotation process simpler, I made some bold assumptions such as: “All cake images are Desserts and have Carbs”. This greatly simplified the annotation process, and I wrote a simple python function to carry most of the heavy lifting. While this strategy makes the process simpler, it may create some noisy annotations (i.e. slightly wrong) and could impact the final accuracy. Nevertheless, for this toy experiment, we proceed as such. A sample annotation for a cake image and its label is shown below. A sample image and its vector format. Clearly, we are restricted by the quantity of data in hand. To better enhance the training ability of our CNN, we can perform Data Augmentation and Transfer Learning. We will define the model using Keras as follows. The below model is a pretrained ResNet-50 with two Dense layers in the end. Notice that we used a sigmoid activation rather than softmax for the Dense Layer. We will use a Binary Cross Entropy loss function. To calculate the accuracy of the model, we use the F1 score averaged by samples (or similar) as the metric. Now that we have a trained model, we can visualize its performance using model.predict() . This will output an array with each element representing the probability of a tag (or label). We can obtain a binary vector by rounding the predicted array such that a 1 signifies the presence of a tag and a 0 signifies the absence of a tag. We can use this binary vector to decode the predicted tags as shown in the image below. As mentioned earlier, there are several strategies to perform Multi Label Classification. Lots of experimentation is required. Need to perform a Hyper Parameter Search to optimize performance. Need to manually handle transfer learning and data augmentation. Requires a powerful GPU and lots of time to train. Would take additional time and effort (and skill) to move this model to production. The above issues pose a great limitation to moving such models quickly into deployment. Luckily, there is an easy alternative. Nanonets provides an easy to use API to train a Multi Label classifier. It takes care of all of the heavy lifting, including Data Augmentation, Transfer Learning and Hyper Parameter search on their GPU clusters. It does all of this within an hour, and provides a REST API to integrate the model with your services. They also provide an annotation service if required. It is pretty easy to get started with the Nanonets API. 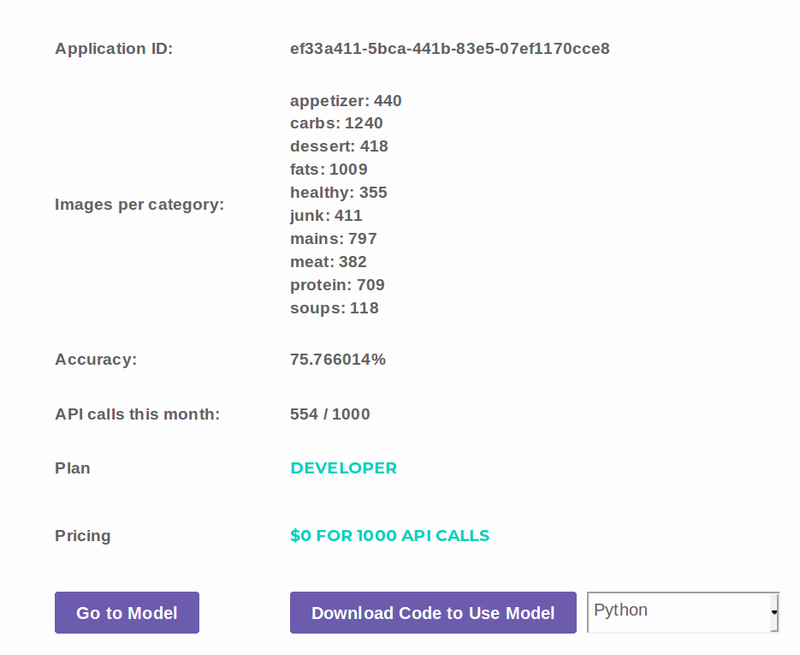 This section gives an overview about the steps involved in setting up the API to perform the same Multi Label food classification experiment. For a more detailed set of instructions, check out the GitHub repository over here. Clone the GitHub repository. Obtain a free API key from Nanonets, set the appropriate environment variables, and run create_model.py as explained in the repository. Note: In create_model.py we have to specify the list of possible labels (in our case, 10 food categories). I have already specified the labels in the code so you can directly run the above step. If you are using it for any other application, edit the list of possible labels inside this file. I have already created the dataset in this format and provided a download link (and some instructions) in the GitHub repository. By running upload_training.py , the data is automatically pushed to Nanonets. Once your model is trained, you can run prediction.py to use the deployed model! You can also observe the sample JSON output from your user page as shown below. Sample JSON response as shown by Nanonets. Let us first perform a rudimentary analysis of the training time of the various Keras models. 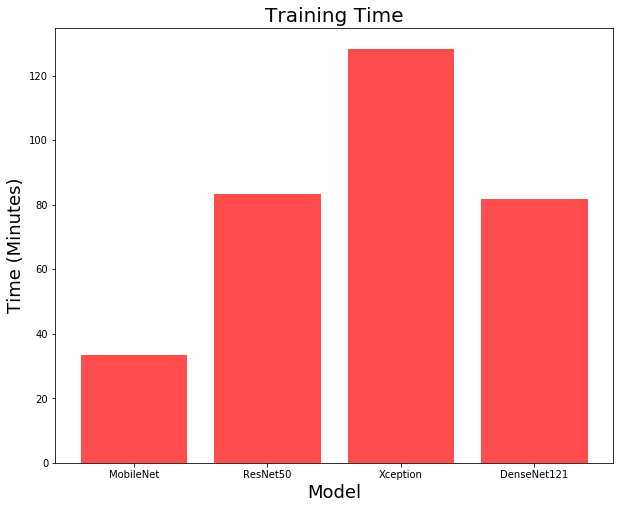 The training time for 100 epochs in minutes is plotted in the below bar graph. The MobileNet is the fastest to train owing to its efficient architecture. Unsurprisingly, the Xception network takes a lot of time as it is the most complex network among the ones we compared. Do note that the training time does not account for the time incurred for hyperparameter search, model tuning and model deployment. These factors greatly add on to the time required to move a model to production. However, Nanonets provided a production ready model within 30 minutes, even after accounting for all of the above factors. Without a doubt, Nanonets trained faster than the Keras models. But how does it fare performance wise? Below we plot the F1 score obtained by the various Keras models and Nanonets. F1 Score of various models. Nanonets clearly has a higher score than the Keras models. Surprisingly, the MobileNet model came very close to catching up. Due to its parameter efficient architecture, it can mitigate overfitting better compared to the other Keras models. 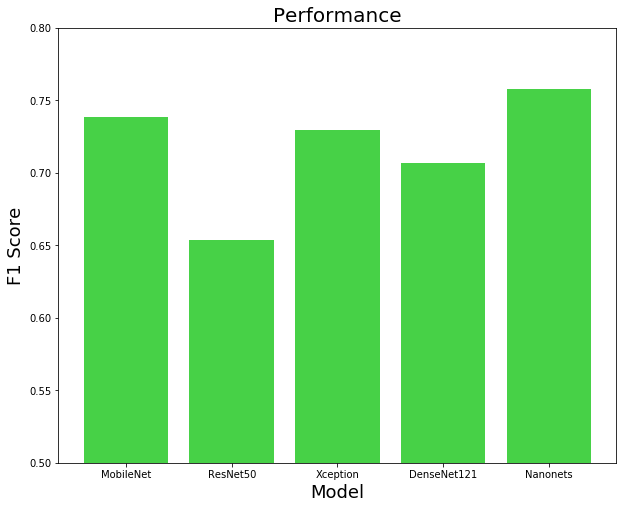 The relatively lower score of all models can either be attributed to the complexity and limited size of the dataset, or to noisy annotations. Let do a visual observation of the output as well. Looks like our training was pretty successful! By using a larger dataset we could achieve better performance. You can also further experiment by using different datasets for other innovative applications by applying the concepts discussed above.